Principles define training. Principles can lead you to personal best performances, injury prevention, and health – if they are simply applied correctly. Historically, running has a social and coaching culture that would have you believe that very diverse methods are required to train for different events. For example, most would assume that training for the 800 meters on the track would be in complete opposition to training for a 100 mile trail run. One is 200 times longer than the other. Currently-held beliefs would tell us that these events utilize different “energy systems”, that one event is anaerobic while the other is aerobic, that one event is for those with lots of fast twitch muscle fibers while the other is only for those with a predominance of slow twitch fibers, that perhaps a specific periodization or structure of training is required, or even more commonly, that perhaps a certain number of miles of training are necessary. These traditional methods make some assumptions that, sadly, have not stood the test of time or science. Much of the traditional thinking assumes that the cardiovascular system is the primary limiter of performance – and thus the primary aspect to address in training. But as we’ve built a body of knowledge in the sports sciences, this has been found to not be the case. The central nervous system and neuromuscular system are the primary limiters of performance, and thus issues such as power output should define the training plan. The greater the power output (at any given distance), the faster you go. What does this mean from a practical application? I have coached runners of all skill levels and paces, and through a wide variety of event distances. And the one common element that links events like the 800 meters and a 100 mile run is that the training principles are the same. Yes, the same. There are 3 basic principles that apply to both events. 1. Build your sport performance capacity via a great percentage of your run training being done at your goal race pace – or faster. This will typically be done in interval format. I have termed these sessions “neuromuscular efficiency” (goal race pace) and “neuromuscular power” (faster than goal race pace). This also reinforces improved motor patterns as people generally run better mechanically when they run faster as opposed to slower (relative to the athlete). 2. Build your sport performance capacity – tissue integrity and muscle recruitment - via strength training and plyometrics. In this way, the tissues can remodel such that they are better able to withstand the loads of running, and can do so in a dynamic fashion. 3. Build a training program utilizing principles that foster recovery. This is what I term “recovery-centered training”. Your body will adapt to the imposed demands if given an environment in which to do so. The training mesocycle must be structured to allow for tissue adaptations and recovery to occur, otherwise the specific workouts serve no useful purpose. Training is useless unless recovery and adaptation takes place. Let’s look at some of the demands of training for these two diverse running events. For the 800 meter event: the athlete must build their sport performance capacity relative to the event. They must build the capacity of their neuro-musculo-skeletal system. In order to do so, training must consist of work at the goal race pace (and faster), along with strength and plyometric training to develop power and tissue integrity. Running mechanics must be addressed to allow the runner to move more effectively in space. Training must be event-specific – such that neuromuscular efficiency sessions take place on the track. For the 100 mile event: the athlete must build their sport performance capacity relative to the event. They must build the capacity of their neuro-musculo-skeletal system. In order to do so, training must consist of work at the goal race pace (and faster), along with strength and plyometric training to develop power and tissue integrity. Running mechanics must be addressed to allow the runner to move more effectively in space. 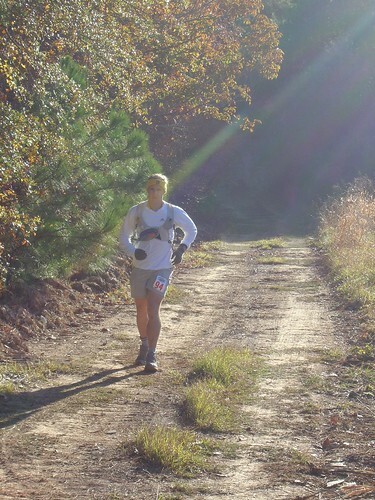 Training must be event-specific – such that neuromuscular efficiency sessions takes place on the trail (or terrain similar to the goal event). Sound familiar? The principles of training remain the same. It is also important to note that these principles do not change for new runner or Olympian. The difference? The velocity (speed) of run training. An Olympian’s goal paces are higher, and thus their NE and NP training sessions would reflect this. 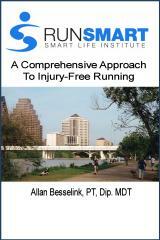 The principles underlying the run training remain the same. So would it be possible to train for a shorter, faster event and still build the capacity for a longer event? Absolutely! If you have built the power output and capacity, then you should be able to “go longer” simply by altering the speed of movement – and having an effective race management strategy (which includes mental discipline and attentional focus, proper fueling, and appropriate hydration). The 2009 season has been a prime example of this for Smart Sport athletes. The year has included a Canadian Masters women’s 50 - 54 national best in both the 800m and 1500m, and on the other end of the spectrum, a 21 hour age group 100 mile trail run (which was an over-5-hour personal best improvement!). Both utilized the same training principles in their training programs. Just a few things to ponder as you refine and optimize your own run training program. Further information on the concepts presented above can be found in RunSmart: A Comprehensive Approach To Injury-Free Running.